Look at your vSphere 5 box. If it says ‘Enterprise Plus Edition’ you get a key — to the cloud. That’s right – if you own VMware vSphere 5 Enterprise Plus edition, you now have VMware vCloud Director. For free. As I predicted in Reading the Tea Leaves Before VMworld 2012 Part 2, VMware has introduced a new pricing/packaging scheme called the vCloud Suite, which combines vSphere 5.1, vCloud 5.1, and vCloud Networking and Security into a new package called the vCloud Suite Standard. 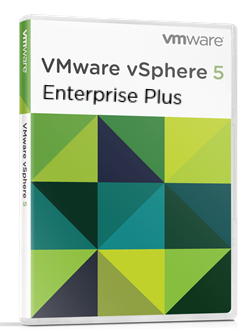 And, if you own vSphere 5 Enterprise Plus today, you are automatically entitled to this upgrade at no charge. You will need to claim the upgrade on http://my.vmware.com licensing portal before December 15th, or you lose your upgrade. Pretty awesome, eh? There are also a couple other editions of vCloud Suite coming your way: Advanced and Enterprise. Below is a chart of how the pricing and packaging breaks down. Notes Enterprise Plus Customers under SNS will be entitled to this version if owned by 8/27. This promotion ends on 12/15. You can now get to the business of building your own cloud, with all the tools you need for success, in some very customer friendly new packages! Thanks, VMware!